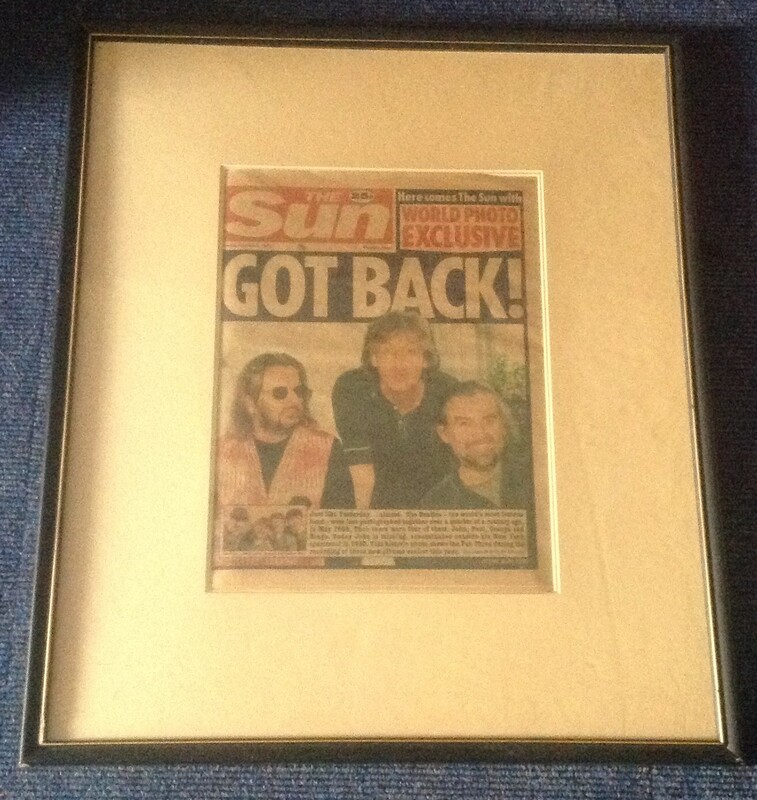 The Beatles 3/10/1995 original Sun Newspaper for the reforming of the group for the Anthology Album promotion. Framed to overall 55cm x 65cm, some signs of age and yellowing. Rare. Good Condition. All signed pieces come with a Certificate of Authenticity. We combine postage on multiple winning lots and can ship worldwide. UK postage from £3.99, EU from £5.99, Rest of World from £7.99.